Location, location, location! That is what Emmens Preserve is all about! Located adjacent to The Market Common urban village and just minutes from the beach, this master planned community has so much character and charm to it. Potential buyers can choose from with three, four, and five bedrooms offered through several floor plans and collections. The feel of Emmens Preserve is very relaxed with a coastal style to it. Upon entering the community, it is evident why it is such a wonderful place to live. Inside each home, there is such attention to detail including gourmet kitchens, tons of windows, and elegant finishes throughout the home. 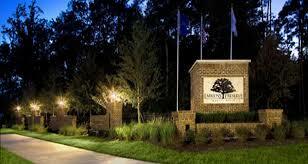 Community amenities are abundant and unlike those in many other new neighborhoods. At Emmens Preserve, residents enjoy the most fantastic community pool, a bocce ball court (yes bocce ball), putting greens and even outdoor kitchens. The developer, Lennar Homes, has put so much attention to detail in Emmens Preserve. Emmens Preserve near Market Common attracts several buyers from first time buyers to those wanting to downsize. Currently, there are four collections from which to choose the ideal home. Square footage in these bungalow-style homes ranges from about 1,300 square feet to almost 3,000 square feet. In terms of home prices, buyers can expect to pay from the upper-$100s to low-$300s.